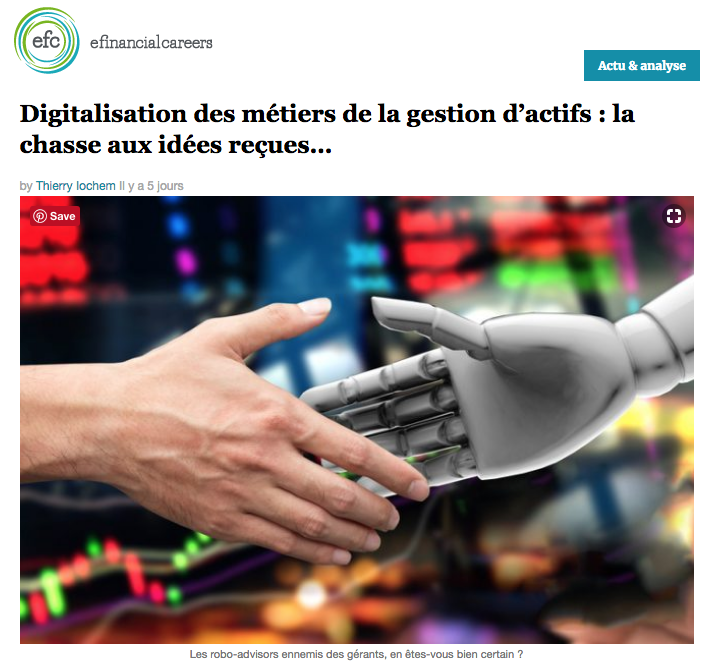 Following our Breakfast Conference AI and Digital Transformation of Asset Management Professions, Thierry Lochem, who was present at the event, published a very good article for efinancialcareers, website recruitment world leader for the financial industry. The article (in French) is a very good read for those who missed the event and wish to have an overview of the discussions and presentations lead during the conference, it is also a great read for those who assisted the conference and wish to be reminded of the key interventions. The article describes accurately the main debates lead during the event, quoting the speakers to illustrate the key ideas.